Let me start out by saying that this dish is vegan, although I am not. I say this as a disclaimer because although I really do admire the determination of vegans and see the benefits to their lifestyle, sometimes they go so long without all the food groups that their judgement of what tastes good, in my opinion, can be slightly impaired. But—if you ask someone who still eats animal products if a vegan meal is delicious and It STILL holds up, see, now you know you have something special. This is not a good “for being vegan” recipe. It’s just plain good, whoever you are and whatever you eat. It’s actually one of the only things I’ve made in a long time that as soon as we had inhaled it, I wanted to eat it all over again. Immediately. I don’t like repeating meals often (because I have a fear of getting stuck in a food rut and I like to constantly try new foods, new recipes), so what I’m trying to say is, for me that’s saying A LOT. There are very few foods I even want to eat once a week, much less all over again the very next day. But this is one of them. When I first saw a photo of Ottolenghi’s recipe for this pasta, my first thought was, “Oooh how pretty!” The colors just pop. When plated, this simple noodle dish is a total show stopper. Then I thought, skeptically for a moment, “Now, how would all those ingredients work?” MANGO. I like. EGGPLANT. I like. But TOGETHER? Can that be done? But I knew instantly I had to try. 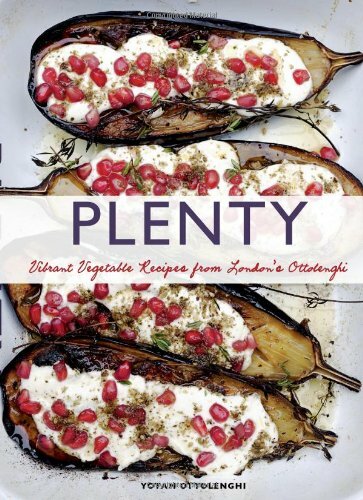 Because Ottolenghi is somewhat of a genius when it comes to food, especially anything vegetarian, and if he says something will work, I trust it. I’ve adapted his recipe, but for the most part stayed true to the intent of it. And trust me. The eggplant and mango, together? IT WORKS. Nuttiness from the noodles, creamy, sweetness from the almost buttery mango, smokiness from the eggplant, lightened by the crispness and zing from raw herbs and onion, tied together by the subtle tanginess of the dressing. Its like these ingredients were meant to be together. Even if you’ve never been a big eggplant fan, give it another try in this. When fried, it softens and takes on a lovely flavor and texture that is in no way spongy or bitter like eggplant can be sometimes. It’s really quite decadent. The buckwheat soba noodles are so healthy, with less calories but more protein and and fiber than your average pasta, and taste good at any temperature. This dish is served slightly chilled or at room temp, but not hot, making it SO perfect for a warm spring or summer day. I love how this noodle dish utilizes asian flavors and ingredients, but in a really inventive, fresh and light way. It’s filling, but not heavy. If you don’t want to use tofu, no problem. It won’t make or break the dish, although I felt like it added a nice textural component as well as the obvious added protein. Consider adding more eggplant in it’s place. As weather starts to warm up, this would be a perfect light lunch or dinner starter along with a white or rosé wine, enjoyed outside if at all possible. First, place the tofu (still in a block) on a rimmed plate lined with paper towels, cover with another layer of paper towels, and another plate. Set something weightier (like a bowl with a bag of flour or rice, or coffee table book) on the plate. The goal is to push some of the moisture out of the tofu. The trick to crispy fried tofu is it being less moist. Try to leave it untouched for 20 mins or so, while you prep other ingredients and when you are ready to fry it, pat dry, and cut into 1 inch cubes. In a small saucepan gently warm the vinegar, sugar and salt until the sugar dissolves. Remove from the heat and add in the garlic, chile, and sesame oil. Allow to cool, then add the lime zest and juice. Set aside, this will be your dressing. Heat up your frying oil in a large pot or skillet and shallow-fry the eggplant in small batches, so that the eggplant is in an even, single layer. Flip or shake pan so it is able to brown evenly on all sides. Once golden brown remove to a colander, sprinkle liberally with salt and leave there to drain. Repeat the steps in the same oil with the tofu. Cook the noodles according to package directions in a pot of boiling salted water, stirring occasionally. They should be tender but still al dente. Drain and rinse well under running cold water, shake off as much of the excess water as possible, then leave to dry on a dish towel or paper towel lined bowl. In a mixing bowl toss the noodles with the dressing, mango, eggplant, half of the herbs and the onion. You can now leave this aside for up to two hours before serving for flavors to meld. Just before serving, add in the rest of the herbs and fried tofu, mix well, and then serve. Adapted from Yotam Ottolenghi’s amazing vegetarian cookbook, Plenty.